Whenever I catch myself trying to make something for my family “perfect”: the perfect bake sale cupcakes, the perfect holiday party, the perfect stroll to admire the autumn leaves, I remember that the most memorable family experiences tend to be the disasters. It’s true, just think about it…. 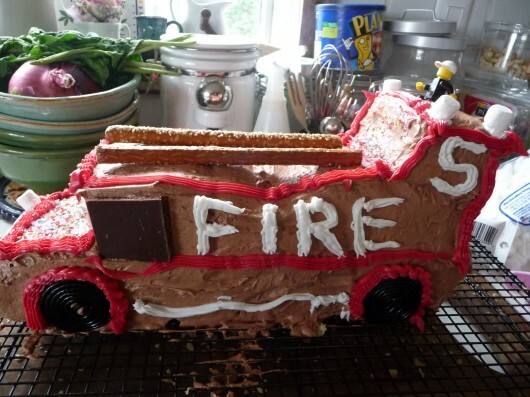 For example, my children fondly and frequently recall the occasions when they’ve thrown up in the car (in front of the fire station, on the way to Maine, on a cousin’s lap on the way to Maine…), but the 3-dimensional fire truck birthday cake I made for my son FROM SCRATCH? I never hear about that. They also love to recount the time we picked out a Christmas tree that was so obese, it wouldn’t fit through any of the doors of the house; the weeks post-Sandy where we were without power/heat/hot showers and had to read by flashlight every night; and the time I lit a chicken on fire and they ran out of the house screaming. Remembering these incidents of mayhem and survival is a constant source of amusement. So leave things to chance sometimes, embrace the unexpected, and remember family lore comes from chaos and mishaps more than anything else. When my family moved from the city to the suburbs, I quickly became the cliché SUV driving road warrior mom. But it took me awhile to realize that the glove compartment (or that compartment in between the driver and passenger’s seat) is really a mom’s best friend. A blank check: This has come in handy on many occasions, especially when you have to pay the guitar instructor or forgot to bring money to the school book-sale. Library cards/pool membership cards/all cards needed to get into a facility of some kind. Eye-drops: I have a crazy fear that my contact lenses may dry up on the highway one day and then pop out! Band-aids: I have a 6 year old boy and he is always injured or on the verge of getting injured. One of those Evian mister things: For dirty hands, post-hot yoga, just to feel fancy when you’re in the school pick-up line. Clif/Luna/granola bars: Chances are that someone is hungry while in your car at least once a day. A Sharpie: I don’t know why this comes in handy so often, but it just does. A 20 dollar bill: You never know where and when you might need cash—zombie invasion, etc.—and my wallet is annoyingly always empty. I think my number one FIND is my rice cooker. I never thought I’d get one until the day I went over to a mom-friend’s house and she started scooping out the most delicious, perfectly cooked, quinoa from this contraption sitting on the counter. She was making her kids dinner and she’d put the quinoa on a sheet of roasted seaweed, add a slice of avocado, and roll it up—so simple and healthy and addictive! I hopped on Amazon when I got home and bought my very own Zojirushi. 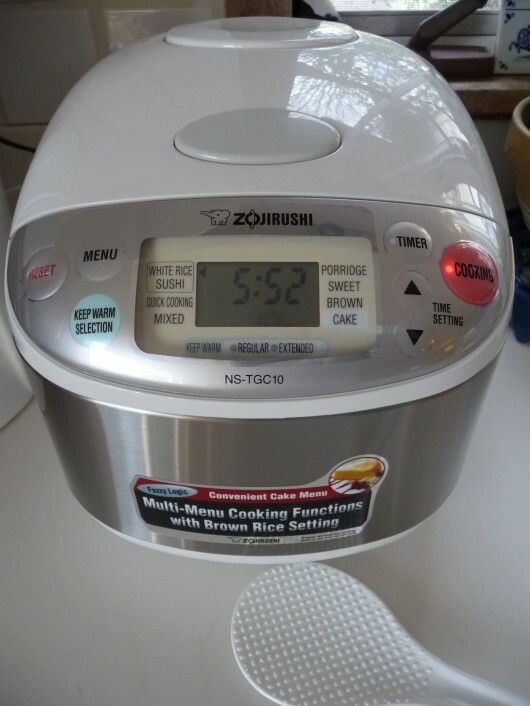 Not only does it have settings for making brown rice (which takes forever to cook the normal way) and white rice, you can cook practically any grain in it, as well as oatmeal (do it the night before and it’s ready when you wake up). You don’t have to watch a pot—just set and forget and the added bonus is you can keep the rice warm inside for days, so when dinner comes around you just pop the lid and scoop it out like you just made it. It also plays a cute song when it’s ready.